In my kitchen have been various new desserts. I am very taken with the Perfect World ice cream range (I got mine through Ocado), which is lower in sugar than most ice creams. I loved the pistachio flavour I tried and look forward to getting my hands on a mint chocolate chip one in due course. 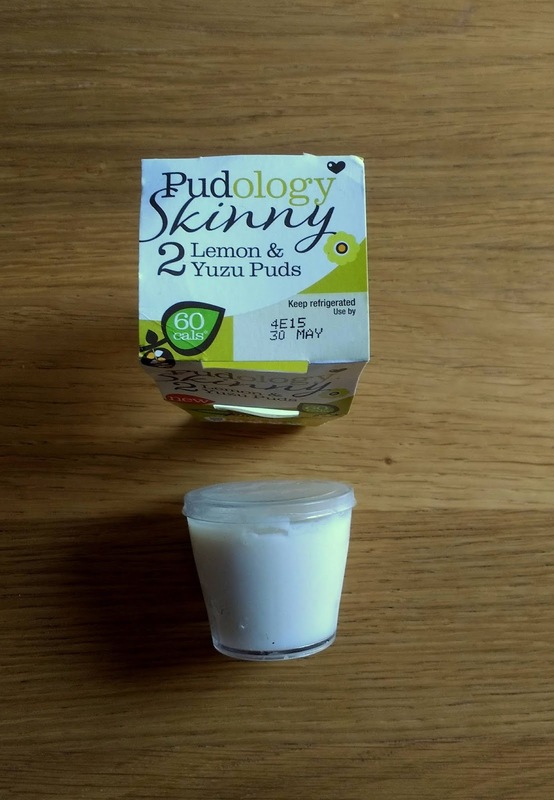 Another new lighter dessert are the 'skinny' lemon and yuzu pudding tubs by Pudology. I am a big fan of the original Pudology desserts but they are definitely not light (think decadent chocolate orange mousse). These are very lemony but nicely suited to summer. I was less fond of the Food Heaven heavenly pots of almond vanilla custard. I had envisaged an almond flavour but didn't pick much up. 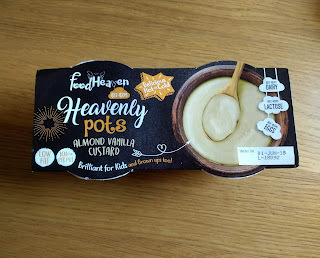 It was just custard - nice, but not exciting. 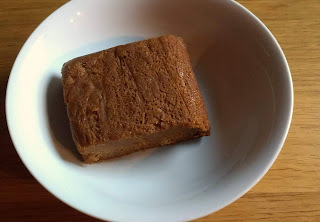 Sticking with sweet items, I bought this piece of vegan Jamacian sweet potato 'pudding' (I'd call it cake) from the Greenwich markets when we visited last weekend. 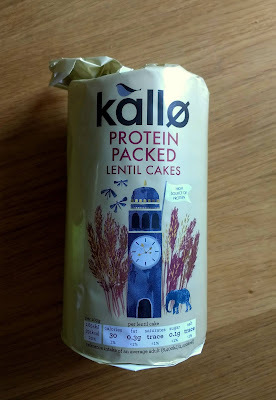 It was unusual (semi-sweet, fudgy in texture, with ginger in the flavour mix) but nice. 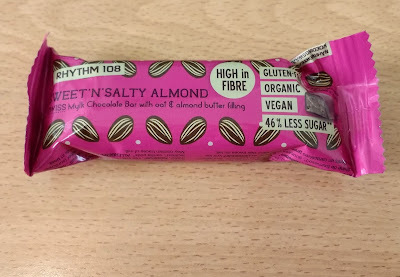 I first spotted these Rhythym 108 chocolate snack bars in Planet Organic in London but they are now available in our local Sainsbury's too. They come in various flavours and this 'sweet and salty almond' bar is a nice vegan alternative to peanut or almond butter cups. It's less sweet, and tastes healthier, but it's still pretty tasty. 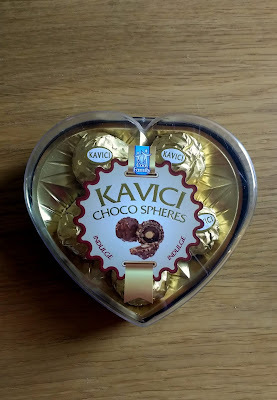 Less tasty, sadly, were these accidentally vegan versions of Ferrero Rocher balls. They are available in Pound Stretcher stores but excited as I was to see them, I can't really recommend them. They are dry and the 'chocolate' clearly features cheap ingredients. They may not sound exciting but the Kallo protein packed lentil cakes were a bigger success than the fake Ferrero Rocher. They are crispy, more flavourful than rice cakes, and a great snack plain or with toppings. Also well suited to snack time, or breakfast time, are these flavoured Beanies coffee sachets that I found in the random aisle of Lidl (the aisle with rotating produce). I've had the Beanies flavoured coffee jars before, but never seen all of these flavours. The chocolate orange is my favourite so far. Moving on to meals, there are multiple new vegan pizzas on the market. 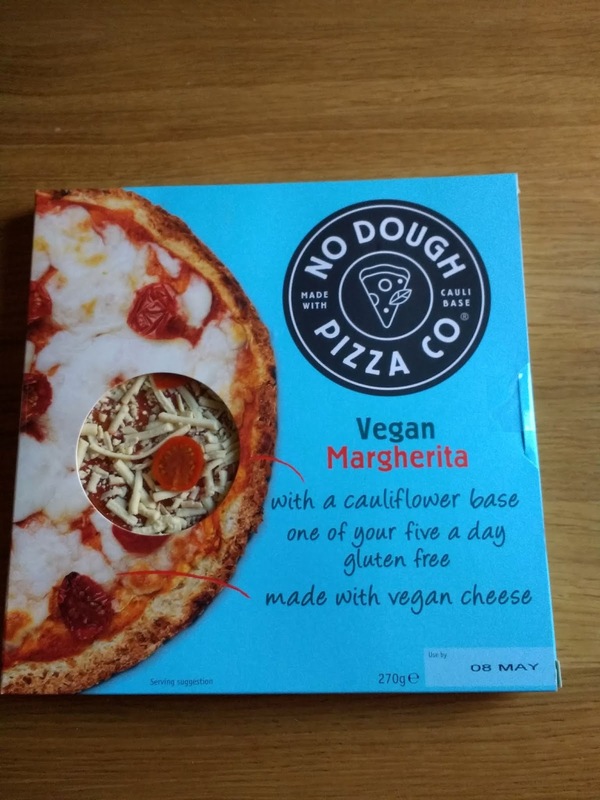 I recently tried two, including the cauliflower base vegan margherita by the No Dough Pizza Co.
Mr Bite and I also tried the Valsoia pizza which has a smaller amount of soy-based cheese and lots of grilled vegetables. The base of this is thicker and doughier, and the mix was tasty. 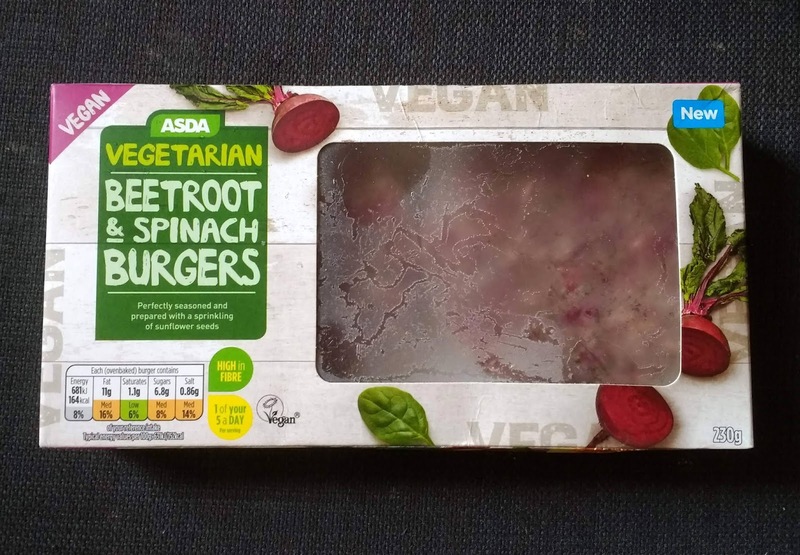 Asda have introduced a few new vegan-friendly frozen products, including these beetroot and spinach burgers. They are good but not vastly different to other veggie burgers I've had before - although the beetroot colour is a bonus. 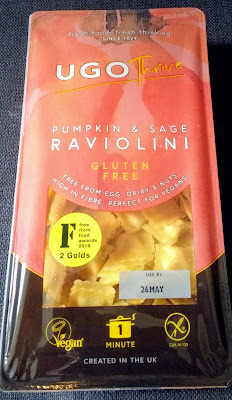 One of my favourite recent discoveries is the filled pasta by Ugo Thrive, found again in Sainsbury's. 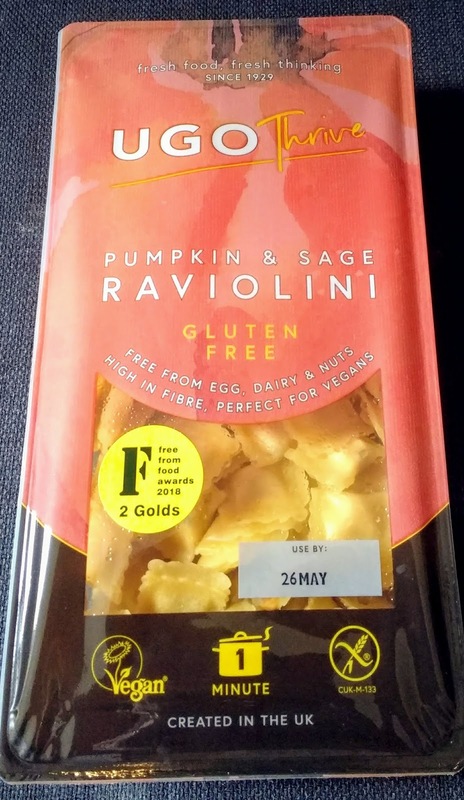 Featuring pumpkin, sage and a soy-based cheese inside raviolini, the pasta takes only a minute or so to cook and is utterly delicious. Mini Bite enjoyed it too. I've served it simply with some chopped tomatoes, fresh tomatoes and spinach instead of a more complex sauce. 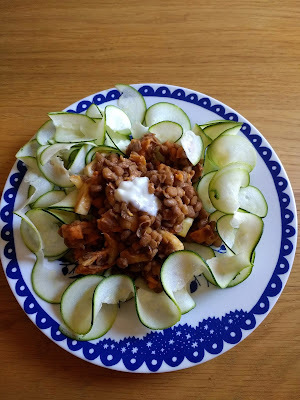 Last but not least, and to show I am cooking real dishes and not just opening packets!, my spiraliser has emerged with the warmer weather and I recently enjoyed this lentil-based bolognese over spiralised courgette. I do like the sound of the puddings and the icecream. 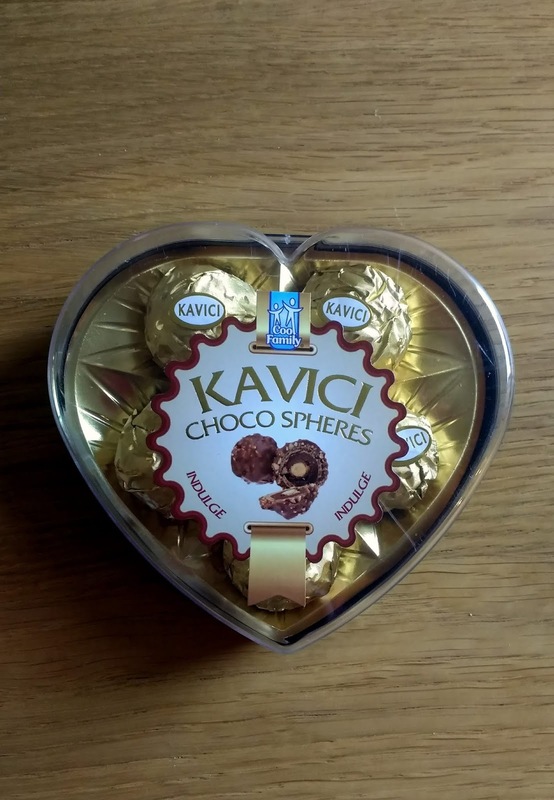 It’s sad that the Ferrero Rocher weren’t good. 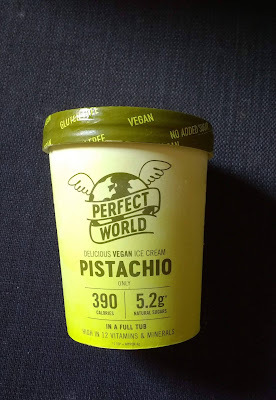 Interesting that you can have "vegan" ice cream, as it says on the container in your photo. That made me curious so I looked it up -- in the USA, ice cream must "contain not less than 20 percent total milk solids, constituted of not less than 10 percent milkfat" -- in other words, never vegan! There would be another legal name for it here. So many rules! You are clearly very adventurous with all those products! your kitchen looks very busy - so many interesting products (but not much chocolate) - I'd love to try those pizzas and the lentil cakes. 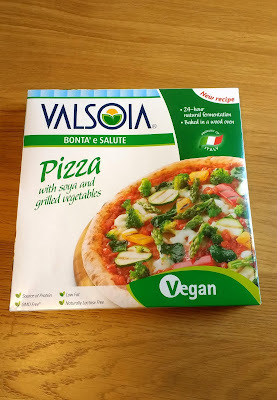 That is nice to find filled pasta that is vegan - it is so convenient. 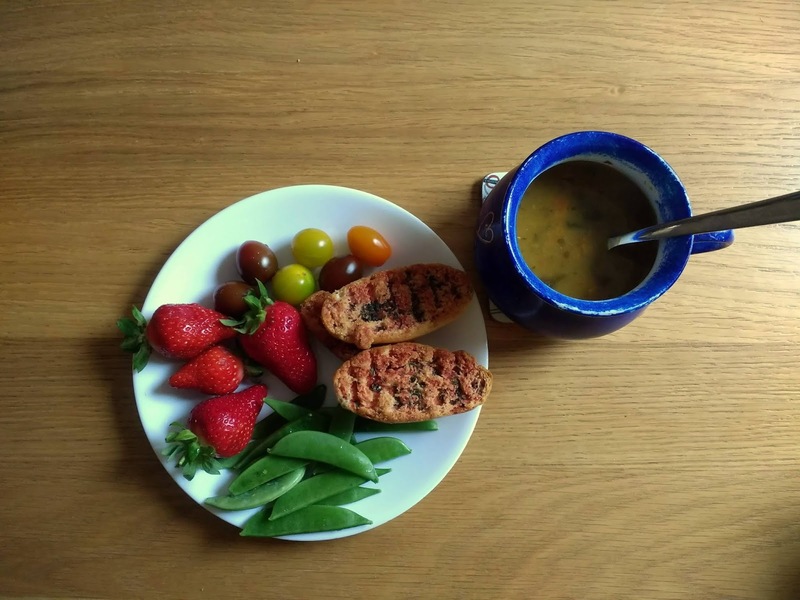 And I like the look of your meals that bookend the post at the top and bottom. The filled pasta is definitely a winning find. Convenient indeed! Def. feels like summer and your kitchen sure reflects this. I need to make sure I use my spiralizer more this year when courgettes are coming thick and fast from the garden plot. Your plate of food looks so pretty. 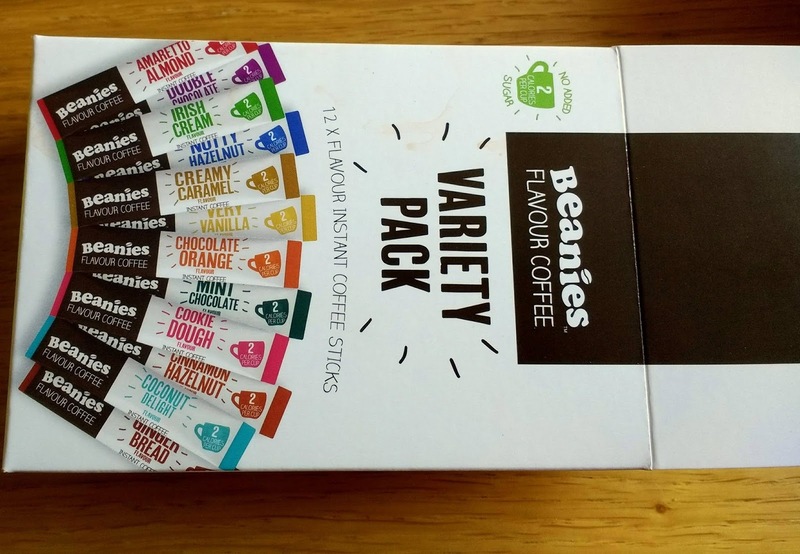 I need to track down those flavoured Beanie coffee sachets. Thanks Shaheen - yes, you will have plenty of opportunities for spiralising when your courgette crop comes into season. 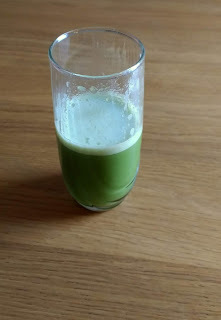 I hope you're starting to enjoy the summer produce you have too. You've really found some gorgeous stuff this month. I saw the Ugo pasta in Sainsburys and made a mental note to try it before too long, I'm glad it's good! I can't think of the last time I had pistachio ice cream - when I was a kid on holiday maybe? - but I'd love to track some more down. I'm glad I could inspire you to go ahead with the pasta and seek out the pistachio ice cream :-) Both deserve seeking out! that zucchini looks so pretty! i have a spiraliser but i just haven't got around to using it - yet. Lots of goodies in your kitchen atm. i love pistachio flavour and choc mint so these sound good. never been fond of fake meat products like vego sausages etc. 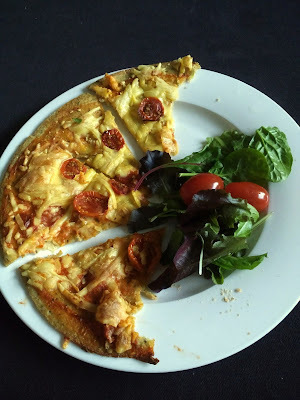 i reckon it's eat the real thing or not at all:) i do love a crispy thin base for pizza. very interested about the cauli based one. have a good month. thanks for joining us. 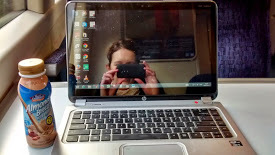 cheers sherry BTW- i am having probs with inlinkz and gmail so IMK is a bit wobbly atm. Just fyi - i can't see emails or links so i have to hunt them up. am trying hard to fix it all.! Thanks Sherry and I'm sorry the links aren't working so well - extra work for you! Thanks for persevering. They are very fun :-) Enjoy if you go ahead with getting hold of a pack!